We offer a large selection of quality post and rope stanchions from affordable value brands to luxury and high end custom post and rope. 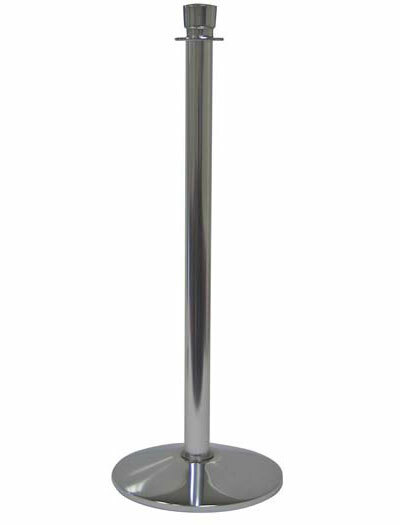 You’ve seen these classy stanchions at red carpet events and at high end clubs and restaurants. 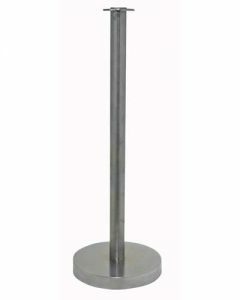 Located on the east coast, Visiontron’s Prime rope post stanchions are quite popular, look great and ship quick. PRICE: $49.95 each plus shipping. 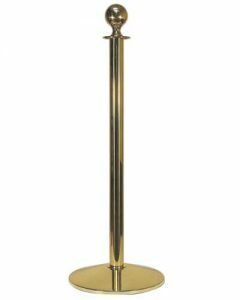 These economy priced rope post stanchions from VIP normally ship in 24 hours from Los Angeles. PRICE: $42.95 each plus shipping. 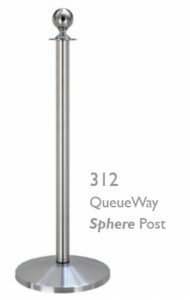 Rope Master post and rope stanchions from Queue Solution give you the luxury appearance without the high price. QWAY stanchions are very dependable economy priced stanchions. Upscale restaurants and high end hotels and luxury resorts require a better stanchion for a more professional appearance, better performance and durability. 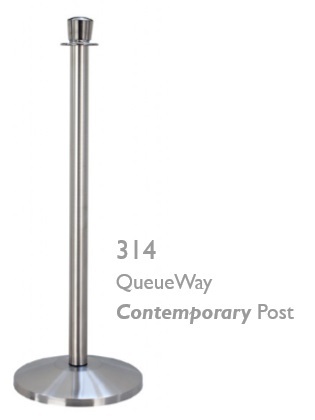 Though the economy priced stanchions we offer are nice, the stanchions shown below are of higher quality. Stronger construction, cast iron bases, longer warranties. 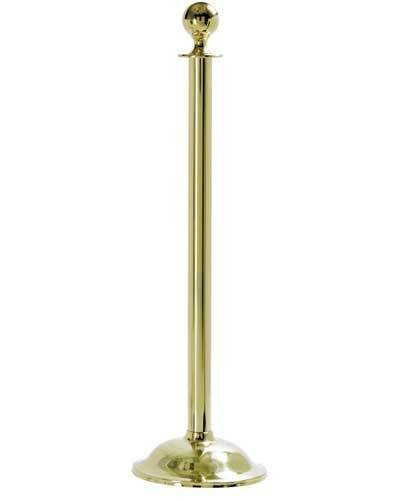 Tapered/Urn top stanchion with dome base. 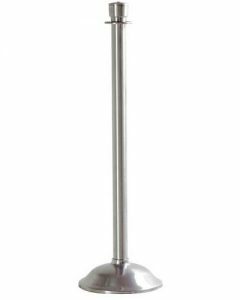 Flat base and sloped base models available at a lesser price. Bulk discount available. 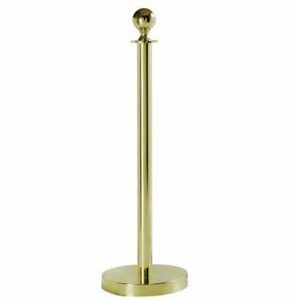 Ball top stanchion with dome base. Flat base and sloped base models available at a lesser price. Bulk discount available. 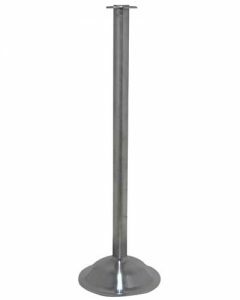 Flat top stanchion with dome base. Flat base and sloped base models available at a lesser price. Bulk discount available. Ball top stanchion with sloped base. Choose matching base cover or black ABS scuff proof base cover. Bulk discount available. Ball top stanchion with flat matching base. Bulk discount available. 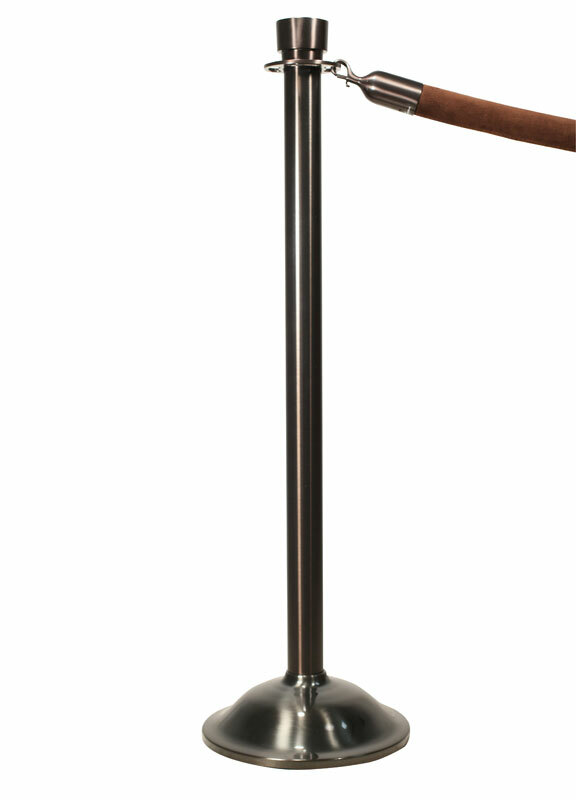 Flat top stanchion with sloped base. Choose matching base cover or black ABS scuff proof base cover. Bulk discount available. 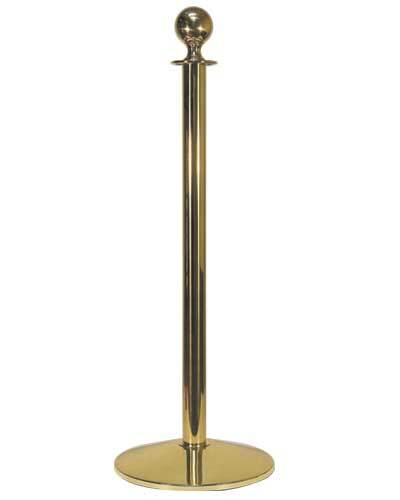 Tapered (Urn) top stanchion with sloped base. Choose matching base cover or black ABS scuff proof base cover. Bulk discount available. Statuary Bronze tapered (Urn) top stanchion with domed base. Bulk discount available. 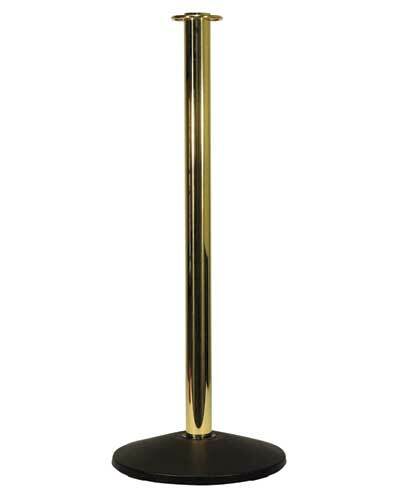 Tapered (Urn) top stanchion with flat base. Bulk discount available. 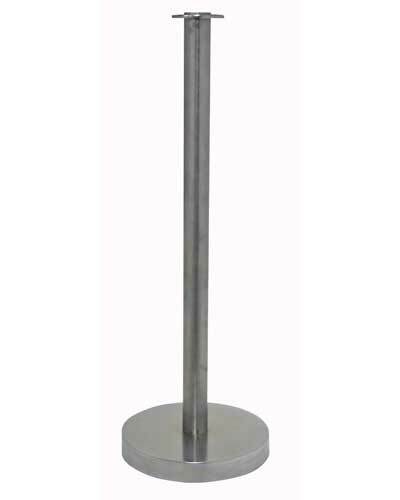 Flat top post and rope stanchion with flat base. Bulk discount available. We’ve seen this over and over in so many of the locations we visit. The post and rope stanchions look like they were polished with sandpaper. It doesn’t have to be this way! 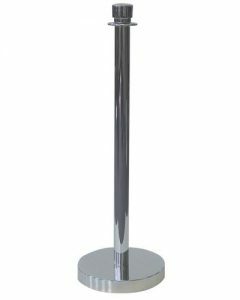 Budget friendly to high end stanchion top sign holders. Choose between vertical (portrait) or horizontal (landscape). Are you simply inserting an 8.5″ x 11″ sheet of paper that you have printed yourself, a standard 22″ x 28″ poster or custom signage? Get your measurements and layout in line first. Lots of choices here. 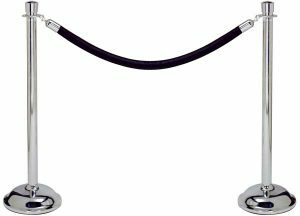 It does matter if you plan on using your stanchions and ropes indoors or outdoors. Choose wisely. 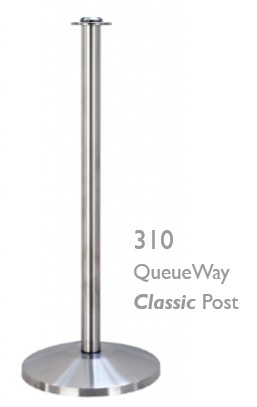 QUANTITY: How many post and rope stanchion posts will you need? USAGE: Do you plan on using your post and rope stanchions indoors, outdoors on a limited basis or outdoors full time? TOP CHOICE: Tapered top, flat top, ball top? 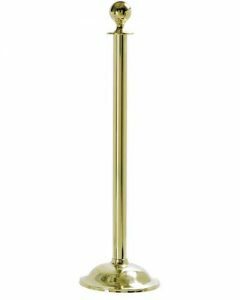 COLOR CHOICE: Normally, polished chrome, polished stainless, black, satin, polished brass. 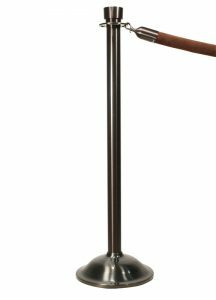 STANCHION ROPE CHOICES: Will your stanchion ropes be used indoors or outdoors? Some ropes will not last when exposed to direct sunlight, rain or salty air. We will recommend the proper ropes based on the location you wish to use them. Some ropes can also be treated for outdoor use. DESTINATION: Are we delivering to a business or residence? Do you have a fork lift or loading dock available if ordering in bulk? Will you need lift gate service? Any special instructions?